Description: SMITH & WESSON INC 45 M2.0 Smith & Wesson 11523 M&P 45 M2.0 Double 45 Automatic Colt Pistol (ACP) 4.6" 10+1 Black Interchangeable Backstrap Grip Black Stainless Steel The Smith & Wesson M&P has a reinforced polymer chassis, superior ergonomics, ambidextrous controls, and proven safety features. In designing the M&P, Smith & Wesson considered the needs of military and law enforcement from every conceivable angle, so the M&P is the standard in reliability when your job is to serve and protect and your life is on the line. 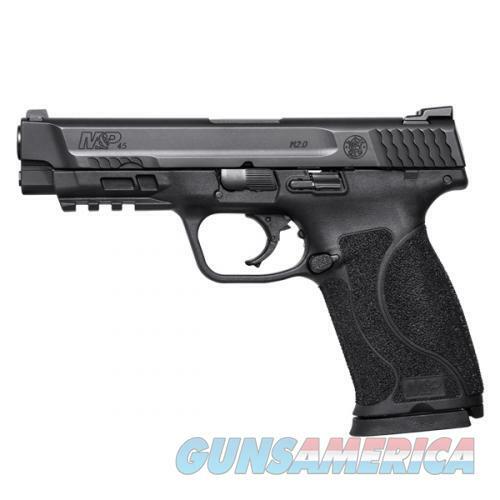 he M&P M2.0 features an extended stainless-steel chassis and high grip-to-barrel bore axis ratio, an aggressively-textured grip, and four interchangeable palmswell inserts for optimal hand-fit and trigger reach, and includes two magazines.